What do a former National Football League linebacker, a “Shark Tank” contestant, a humanitarian, and a journalist have in common? These days, a lot of chicken. 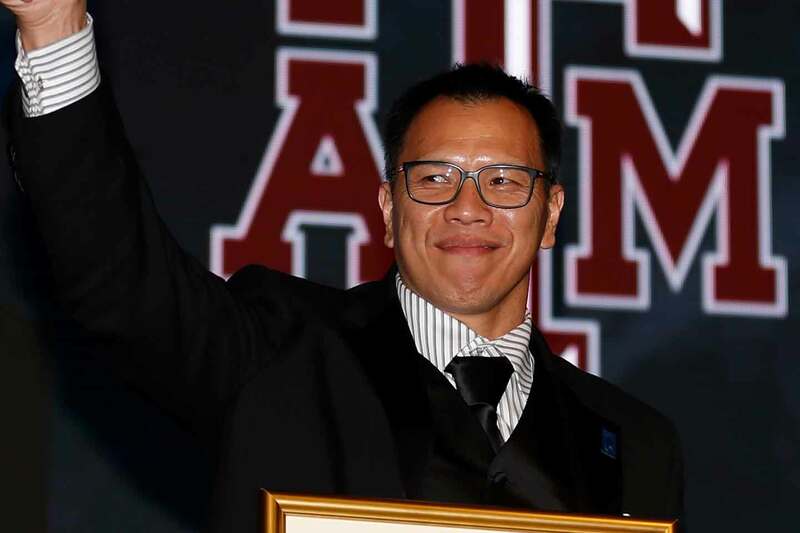 Whether blitzing or dropping back into pass coverage, it’s that versatility and teamwork that former All-American Dat Tan Nguyen longed for after retiring with 516 tackles from the Dallas Cowboys. For Lynnae Schneller, living more than 2,000 miles from the Dallas plains in Seattle, the reality-TV contestant found she was in a pickle—spending more time behind the desk than with the customers she loved. She too was looking for something more. They’re just two examples of extraordinarily driven people who, upon reaching a great measure of success, questioned their next steps and determined their new careers must provide more than profit—it also should provide purpose. From international development experts who helped make the world smaller by uniting families from opposite sides of the world, to journalists who elevated stories that connect people to one another, today they are running restaurants in communities across the United States. But more than the businesses they lead or the thousands of chicken sandwiches they’ve served as Chick-fil-A Operators, they are people who want to make a difference in the lives of their neighbors. They want to help shape the lives of the people they work with, serving not just chicken, but also value and respect to those around them. These are their stories and their take on how to best enjoy the Chick-fil-A Chicken Sandwich—the vehicle they use for delivering kindness countless times a day, six days a week. Original Path: Silich started her career in journalism and publishing. After a successful run working with a variety of publications and clients, she felt like a piece was missing. She enjoyed media, but she missed the spontaneous interactions with customers and fellow service staff she once enjoyed working at restaurants in her 20s. Silich soon realized she could blend her two strong suits—business and customer service—by opening the very first Chick-fil-A in Chicago. More than providing a professional challenge, the Chick-fil-A Operator role put Silich in a position to work for a company that reflects the values she considered most important: camaraderie, exceptional service, and mentorship . Original Path: Dat Nguyen has a very clear sense of how he should—and shouldn’t—manage his employees. The former Dallas Cowboys linebacker, and the first Vietnamese player to play in the NFL, has witnessed both the good and the bad of leadership, and he’s eager not to repeat any mistakes. Nguyen, who hosted a sports radio show after his NFL career ended, can speak at length about the management mishaps he’s seen in the league: when recounting the story of a coach who was fired over the phone while en route to a game, he sounds incredulous at the injustice of it all. But after years of being away from football, he wanted another chance to work with a team. Drawing on childhood experiences watching his parents run their Vietnamese restaurant in Rockport, Texas, he applied for the Chick-fil-A Operator position. Now he runs his restaurant with a coach’s mindset, seeking out the best for his players and teammates, encouraging them to grow and face challenges head-on. Original Path: In 2014, Lynnae Schneller found herself at a crossroads. In 2011, she had started a gourmet pickle company, Lynnae’s Gourmet Pickles, based on her great-grandmother Toots’s recipe. Running the company took her on a whirlwind journey from a small operation to an appearance on ABC’s "Shark Tank.” But Schneller felt stifled working behind a desk and not having face time with customers. Farmers markets—the least profitable but most sociable part of the business—were her favorite part of the job. Her career path had been far from straightforward. At Central Washington University she studied exercise science, after which she spent six weeks volunteering in a rural hospital operating room in India. Soon after, she joined Enterprise Rent-A-Car, where she quickly ascended to the corporate office. But a common thread guiding her work was a desire to collaborate closely with people. So when she heard that Chick-fil-A was looking to open a restaurant in Tacoma, she jumped at the chance.